3 of our last 4 are must wins. During Monday’s Big 12 coaches teleconference, West Virginia head coach Dana Holgorsen was asked what needs to happen to get his program on the right track and back to winning games. The third-year head coach began his answer by talking about all of the challenges of making the transition from the Big East Conference into the Big 12 and the challenge that everyone involved knew would come with that. 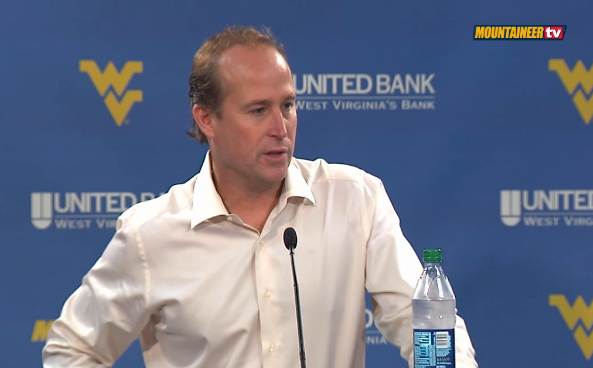 “The overall state of the program would take a long time to discuss,” Holgorsen said as he finished that answer. West Virginia lost its third-straight game by way of a 35-12 defeat to Kansas State Saturday. The Mountaineers have scored less than 25 points in four of their eight games this season and they’re averaging 22.9 points per game, which is better than only Kansas among Big 12 teams. In the passing game, which has been Holgorsen’s specialty throughout his coaching career, WVU is averaging less than 250 yards per game through the air and has a passing efficiency of 112.